Koga's gift ,inuyasha's jelousy. . Wallpaper and background images in the koga and kagome club tagged: koga love kagome inuyasha. 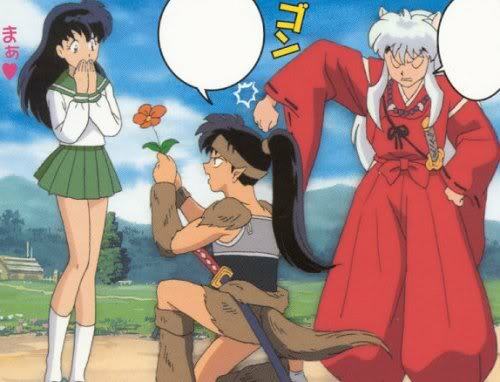 This koga and kagome photo contains アニメ, 漫画, マンガ, and コミック. just out of curiousity what episode is this screengrab from?